Given Earl Dotter’s lifetime commitment to documenting Americans at work, he has been referred to as the “American Worker’s Poet Laureate.” Dotter follows the humanistic tradition of such great American documentary photographers like Jacob Riis, Lewis Hine, Dorothea Lange, and W. Eugene Smith. Beginning in the Appalachian coalfields and continuing to the present, he has put a human face on those who labor, often in dangerous and environmentally unhealthy conditions. 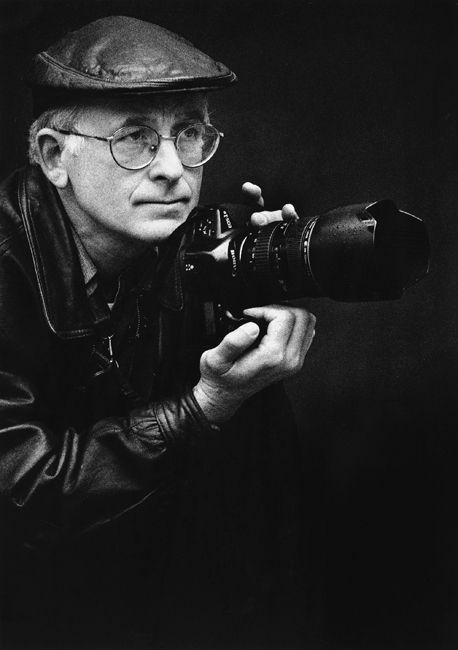 In 2018, he launched his 50-year retrospective book and related exhibit tour, LIFE’S WORK, A Fifty Year Photographic Chronicle of Working in the U.S.A.
Dotter’s photographic career began in 1968 when he joined VISTA (Volunteers in Service to America). His assignment in East Tennessee first brought him in contact with coal miners. After VISTA, he remained in the area to photograph the movement to reform the United Mine Workers Union. When the UMWA election was won by reform candidates in 1972, Dotter was invited to work for the UMWA Journal, with its emphasis on coal mine safety. At the time, coal mining was the most dangerous job in America, resulting in a coal miner killed every other working day. Dotter used his camera to record the intimate details of the miner’s daily life – the dangers of underground mining as well as the joys, dignity, and culture that sustained coal mining families. Lessons learned then still guide him today. Throughout the 1980s and ’90s, Dotter sought out a wide array of occupational subjects and continued to fulfill his objective of personalizing the worker’s life on the job, at home, and in the community. In 1996, he began his exhibit tour of THE QUIET SICKNESS: A Photographic Chronicle of Hazardous Work in America, followed by the book of the same name (AIHA PRESS). In 1999 the Harvard School of Public Health invited Dotter to become a Visiting Scholar in its Occupational and Environmental Health Program, a position he holds to this day. In 2000 Dotter received an Alicia Patterson Foundation Fellowship to document Commercial Fishing, which had become our nation’s most dangerous occupation, culminating in THE PRICE OF FISH exhibit tour in New England. After the World Trade Center attack on 9/11, Dotter journeyed to Ground Zero to photograph the First Responders as they worked around the clock to rescue victims and to remove the tragedy-laden wreckage, and to NYC firehouses that were reeling from the loss of 343 of their own. The resulting exhibit, WHEN DUTY CALLS, A Tribute to 9-11 Emergency Responders, toured throughout the following year. Accompanied by writer Tennessee Watson, in 2008 Dotter chronicled migrant farm workers hand-harvesting crops in Maine, creating the exhibit THE FARMWORKERS FEED US ALL. In 2010, Dotter and Denver-based writer and industrial hygienist, Cindy Becnel, collaborated to record the lives of Native American and Canadian First Nation Tribes at work developing sustainable energy alternatives on tribal lands. The exhibit, HOLDING MOTHER EARTH SACRED, opened at the University of Colorado (Denver) and included showings at the American Public Health Association and the American Industrial Hygiene Association’s annual meetings. A reprise of THE QUIET SICKNESS exhibit appeared at the Centers for Disease Control, David J. Sencer Museum in Atlanta in 2012. By 2013, Dotter collaborated with award-winning journalist and author Suzanne Gordon to record the day-to-day work experiences of all levels of the healthcare staff at the Maimonides Medical Center in Brooklyn, NY, creating a 100th-anniversary book. A permanent exhibit of 300 photos, titled MAIMONIDES AT WORK, was installed throughout the halls of the 700-bed medical center. In 2014, the Migrant Clinicians Network, with support from the Maryland Humanities Foundation, engaged Dotter to create: WORK. RESPECT. DIGNITY. Shared Images of Maryland’s Eastern Shore Immigrants, acquainting longtime residents with immigrants living and working in the region. Dotter’s exhibit BADGES: A Memorial Tribute to Asbestos Workers was first shown in 2015 at the Asbestos Disease Awareness Org. meeting in Washington, DC. The exhibit personalized workers who were harmed from asbestos exposure by using their photo ID badges to link them to the company that employed them. Updated every year since, the exhibit has toured at Mount Sinai Medical Center in New York City, Harvard’s T. H. Chan School of Public Health in Boston, the National Institute of Occupational Safety and Health in Cincinnati and at the University of Texas at Tyler.